Service is a core value of T&C Site Services Ltd. Our vision is to continually improve our products and processes to provide our customers with value-added and cost effective services in order to develop and promote mutual business success. A commitment to excellence in the management of health and safety underpins our overall business aims. T&C work in partnership with customers to produce bespoke solutions to specific requirements. Actively working with our customers to identify and satisfy their needs and through the provision of quality products and services, T&C aim to be the preferred supplier by choice for our customers. Being independent, T&C is guided by customer needs with the aim of building sustainable working partnerships. 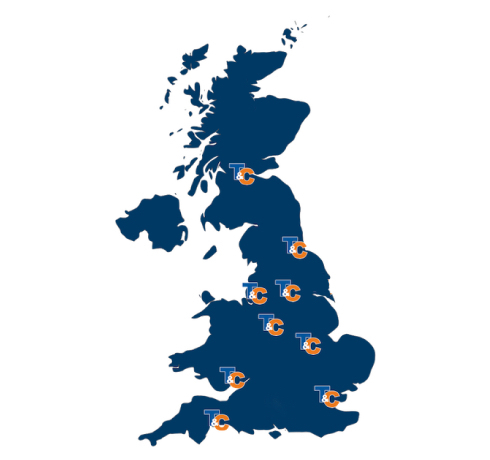 To ensure customer down time is significantly reduced our trained tyre fitters provide a reliable, efficient, on-site service from strategically placed operating centres. Lifting work and tyre fitments can be organised when machines have scheduled downtime. Vulcanised repairs carried out to our high standards, by our independently assessed staff, offer a cost effective alternative to a replacement tyre. It also helps to reduce the impact on the environment by extending tyre life. T&C can assist customers to make informed decisions by sharing a vast knowledge of the tyre industry to optimise performance of both machine and tyres selected.